Thank goodness the weekend is almost here!! Get excited to find your perfect date, do some yoga in the park, hack to your heart’s content, and drink tons of wine! Have fun this weekend with ABCey. 1. Free Outdoor Yoga Day | Saturday, August 3rd | 11:00 a.m. | Big Rec Field, Golden Gate Park | Grab your mat and meet us at the park for some exercise and zen! If you’re a beginner or a regular yogi, you’ll find your pace with the excellent yoga instructors. Families and dogs are encouraged, so there’s no excuse not to spend an amazing day outdoors! 2. 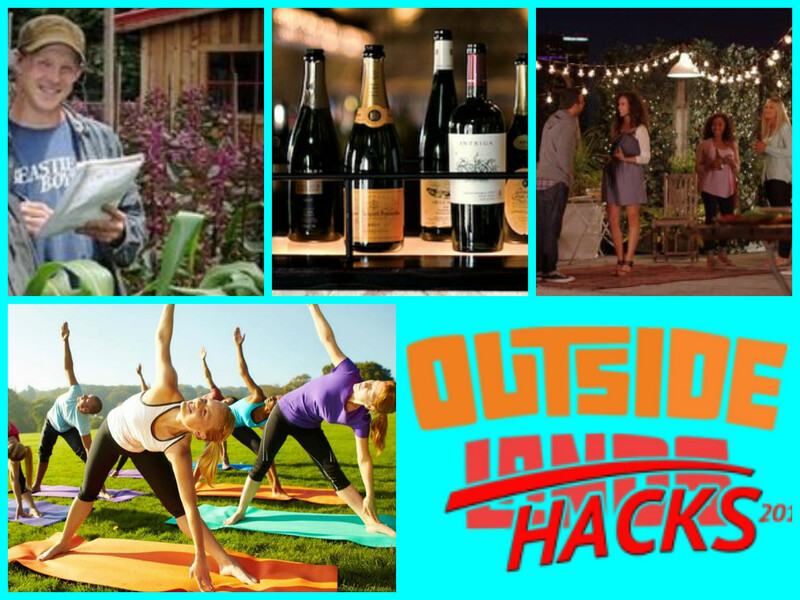 Outside Hacks | Saturday, August 3rd- Sunday, August 4th | 3:00 p.m.- 3:00 p.m. | 651 Brannan Street Suite 110, San Francisco | The challenge: improve Outside Lands for the artists and fans… in 24 hours! Coders compete for the glory of winning and a chance to have the ultimate Outside Lands experience. Good luck, hackers! 3. Twine App Launch Party | Thursday, August 1st | 6:00 p.m.-9:30 p.m. |111 Minna Street, San Francisco | Don’t have a hot date for Thursday? Twine has you covered! This new dating app is celebrating its launch with plenty of beer, music, and singles galore! 4. AgriHack | Sunday, August 3rd | 9:00 a.m. | 144 2nd Street, San Francisco | Get ready to hack your way to a better future for agriculture, startups, and the tech industry! Naturally, there will be plenty of awesome refreshments to keep you full and doing your best. 5. Unlimited Wine Tasting at the Old Mint | Thursday, August 1st | 6:00 p.m.-10:00 p.m. | 88 5th Street, San Francisco | Channel your class, inner wino at the Old SF Mint! Enjoy an evening filled with SF history, learning about the region’s wine history, and (of course!) all the wine you could want. What are you doing this weekend?? Let us know what you think of these events and other Bay Area happenings in a comment or on Facebook & Twitter!